Affordable Rates – Refinishing older hardwood floors provides a fresh look, and revives a valuable, attractive element in your home. Affordable Painting & Papering offers floor refinishing at competitive prices, allowing you to brighten up the décor without breaking the budget. Whether you wish to renew worn stain, pull out aged carpet to expose original flooring or capture a new look in the room, Affordable Painting & Papering provides expert service for reasonable rates. Thorough Preparation – Skilled installers at Affordable Painting & Papering provide thorough preparation for every project, from small wood floor repairs to extensive floor refinishing. Our staff will carefully remove furniture, protect light fixtures, remove necessary trim and tape electrical outlets, vents, ducts and light switches. Entrances to the room are covered for optimum protection and all levels of protection are put into practice in order to provide top-notch service. Well-Maintained Equipment – Serving the region since 1975, Affordable Painting & Papering utilizes modern equipment to complete each project. Affordable Painting & Papering staff maintains sanders, buffers, industrial vacuums and staining equipment at peak condition, ensuring our crews remain on schedule and provide the highest level of floor refinishing services possible. 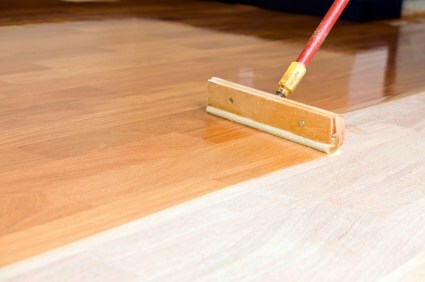 Improve the interior of your home with floor refinishing services from Affordable Painting & Papering. Take advantage of our affordable prices and count on thorough preparation and expert service using quality equipment. Call (215) 550-1132 today to arrange for a free estimate.